While Surf Excel was boycotted by many in India, protestors in Pakistan are deleting the Careem app to show solidarity for the ‘cause’. As Careem takes down its controversial billboard ad featuring a runaway bride after being accused of promoting immoral ideas, one wonders about the real culprit behind this ongoing protest. 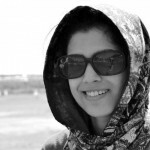 With its target audience mostly consisting of youngsters growing up watching Moltyfoam’s pensive version of a Pakistani bride, the Careem bride simply couldn’t appease its customers’ androcentric worldview. Feminists have no sense of humour, a common grievance many have against people who are sensitive to sexist jokes, not realising how the same joke would offend them if tables were turned. This is what we recently witnessed in the reactions to Careem’s latest ad campaign in Punjab. With a streak of tongue in cheek humour, Careem’s outdoor advertising campaign promoted its bike ride services in a series of situational one-liners on billboards. One of these ads featured a bride calling out with a background message: if you want to run away from your wedding, take a Careem bike. Hours after the ad was displayed in certain cities of Punjab, it received a strong backlash for allegedly defying religious and cultural norms. The ad was immediately taken down from all locations, but the debate isn’t over. 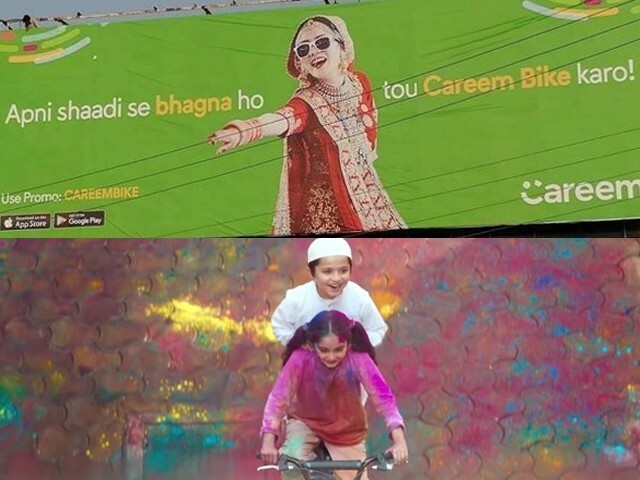 Much before Careem’s bride appeared on Lahore’s billboard, the brand had already raised eyebrows for encouraging young girls to use its bike ride and “reclaim their public space”. Before delving into the core of these protests, let’s imagine Careem’s ad with the same one-liner but a different person. This time, a male figure. Had Careem decided to feature a runaway groom instead of a bride, would it receive similar criticism? It would be seen as a witty jab, which is exactly what its creators originally intended, something quite obvious with the bride’s rather comical disposition. Ironically, the criticism of Careem’s bride is coming from a society which is otherwise okay with sexist humour and cheesy jokes in which men are either victims of a bad marriage or trying to run away from being committed in the first place. These jokes are mostly supplemented with a default disclaimer “on a lighter note”. If you don’t laugh at them, you have a bad sense of humour. If you point out the problem with such jokes that perpetrate sexism and sometimes misogyny, you’re reminded there was no need to be serious since “it was just a joke”. If we are to believe that the concern behind #BoycottCareem really is the violation of Islamic preaching, then by this logic there should be no acceptance for jokes about men flirting with other women or humour which thrives on sexual innuendos about female bodies. If recent #Careem ad was designed to portray a man escaping marriage, would there still be such public backlash and disapproval? Not that it wasn’t evident enough in protests against Aurat March, anger against Careem’s recent ad only goes on to confirm that even with implied humour, the idea of a females’ autonomy over their life has little acceptance in Pakistan. Speaking of tolerance, the backlash has surfaced only a few days after many Indians boycotted Surf Excel’s TV commercial for purportedly promoting ‘love jihad’. Not missing the opportunity of shaming the neighbouring state, a number of Pakistanis showed disappointment on what they acknowledged as Indians’ lack of tolerance for Muslim rituals and religious harmony. Ironically, despite different agendas, responses to Surf Excel India and Careem Pakistan’s ads reflect similar patterns. While Surf Excel was boycotted by many in India, protestors in Pakistan are deleting the Careem app and sharing screenshots to show solidarity for the ‘cause’. #BoycottSurfExcel and #BoycottHUL trended for days in India, only to be overshadowed by the upcoming emerging hashtag in Pakistan – #BoycottCareem. In short, while Indians are being intolerant towards religious freedom of expression, Pakistanis are being bigots against women’s emancipation. Careem’s bride billboard contained all the key elements of an effective outdoor advertising strategy: an unusual visual, ample clean space, a witty one-liner and a call to action. Where did the brand’s creative team go wrong then? Perhaps they simply overestimated their audience’s sense of humour when it comes to unconventional portrayal of women in Pakistan, a country pacified with its age-old idea of a pensive Moltyfoam bride leaving her father’s house to join her husband’s abode.